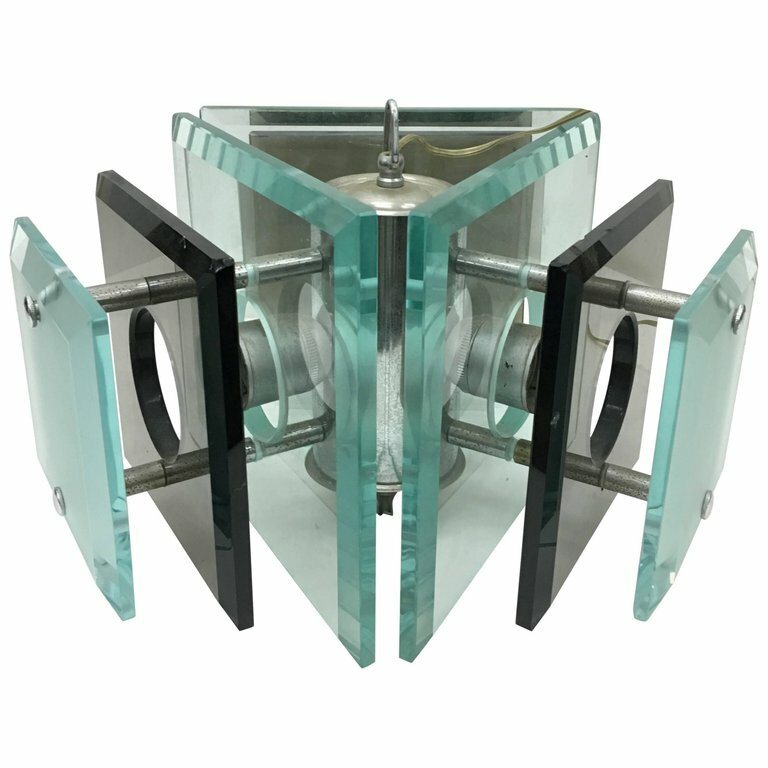 This is a Space Age three lights chandelier in chrome, steel and heavy glass, made by Fontana Arte. There is only one chip in the upper part of a smoked glass as shown in a photo. It works with both 110 and 220 Volt.